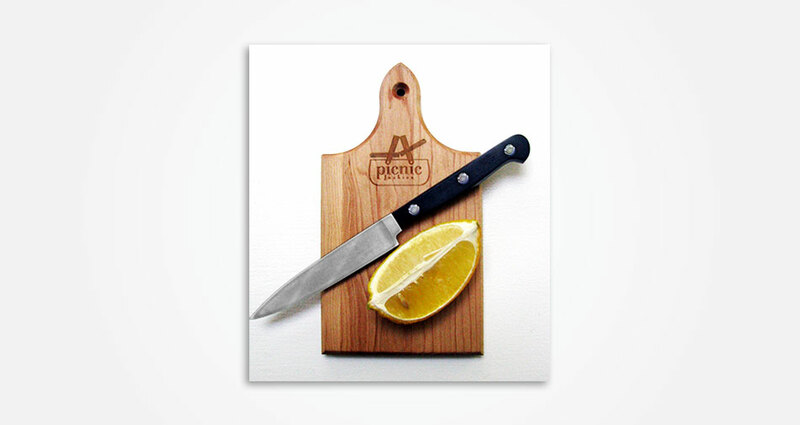 Variations on the picnic fashion logo were used on a mini cutting board and salt and pepper plungers. 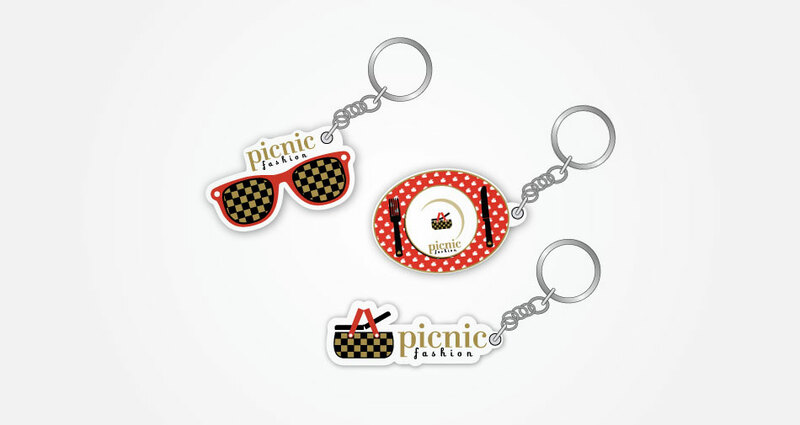 The sunglasses, place setting, and horizontal logo were used for keychains. 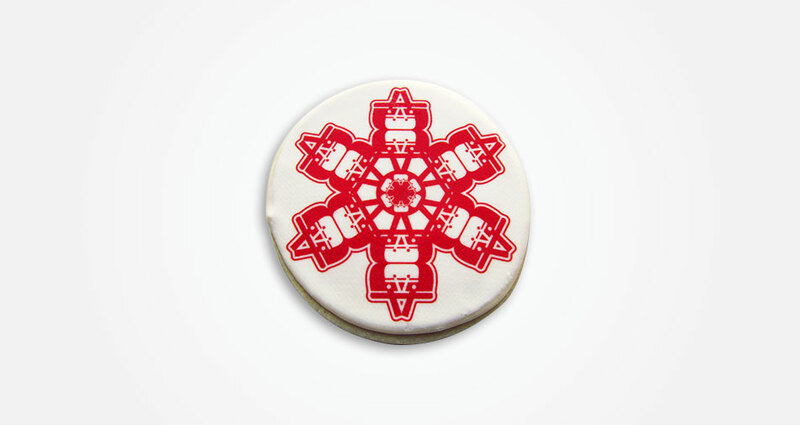 The picnic basket snowflake design was used for cookies and store window decoration. © 2019 Andrew Newman Design All Rights Reserved.